The Supreme Court of India has upheld the conviction of Uttar Pradesh lawyer Bal Kishan Giri for contempt of Court for his “wild and scandalous” accusations against Judges of the Allahabad High Court and several other judicial officers in the case Bal KishanGiri vs.State of U.P. The Allahabad High Court had convicted the lawyer for contempt of court under the Contempt of Courts Act, 1971 and sentenced him to undergo simple imprisonment for one month and slapped a fine of Rs.20,000. The Appellant , Bal Kishan Giri who was a practicing lawyer in Uttar Pradesh had accused several Judges of the Allahabad High Court alleging that they would pass the order at the behest of an advocate who the judges had an alleged caucus with in the past. The Appellant’s nephew was found dead with two other people who were residing in the hostel of the Meerut College and the bodies were found on the banks of river Hindon. A criminal case was registered and investigations pointed at Haji Izlaland a few others. They were arrested and all of them moved bail applications which were rejected by the Meerut Court. They further filed a bail application in the Allahabad High Court. The Appellant sent an application and a complaint to the High Court alleging that theaccused were gangsters and had accumulated assets worth crores of rupees by their criminal activities. He also alleged that the accused persons were closely related to a local M.L.A. and Ex. M.P. and they had links with Judges of the High Court and a lawyer known to the Judges.The High Court examined the complaint and issued a show cause notice to the appellant as to why the criminal contempt proceedings should not beinitiated against him. The appellant submitted an unconditional apology submitting that the application was sent by him as he had been misguided by the advocates of the District Court of Meerut and he was in great mental tension as his nephew had been murdered. The High Court did not accept the apology and convicted the appellant for criminal contempt. 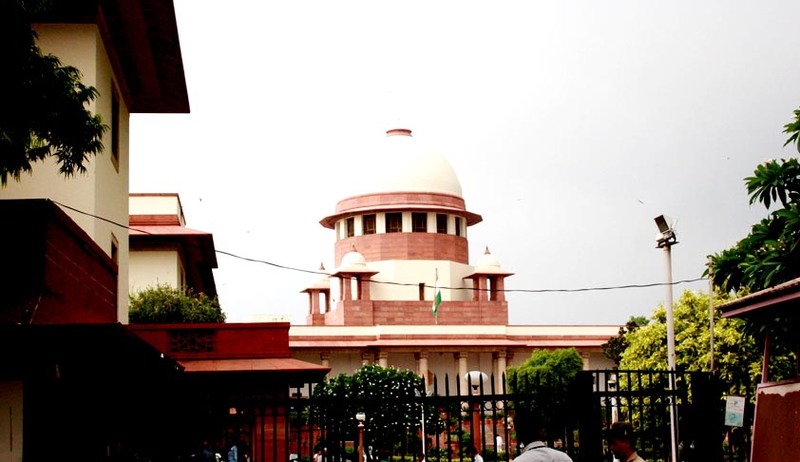 The appellant then approached the Supreme Court and submitted that the show cause notice was not in inconsonance with the provisions of Chapter XXXV-E, Rule 6 of the Allahabad High Court Rules, 1952. Thus, all subsequent proceedings stood vitiated. The appellant also submitted that he was under great mental tension as his nephew had been murdered, and he was allegedly misguided by the advocates of the Meerut District Court. The Supreme Court however dismissed the appeal and upheld the decision of the High Court of Allahabad. The Supreme Court took cognizance of the allegations made by the appellant against the judges of the High Court and found them “too serious, scandalous and, admittedly, sufficient to undermine the majesty of law and dignity of court”. The Court rejected the argument that he had been misguided as he is a practicing advocate and that he ought to be aware of the consequences of what he had written. The Court said“Such casting of bald, oblique, unsubstantiated aspersions against the judges of High Court not only causes agony and anguish to the judges concerned but also shakes the confidence of the public in the judiciary in its function of dispensation of justice. The judicial process is based on probity, fairness and impartiality which is unimpeachable. Such an act especially by members of Bar who are another cog in the wheel of justice is highly reprehensible and deeply regretted.” The Court also found the unconditional apology as a “calculated strategy” to avoid punishment. The Supreme Court in this case dwelt greatly on the concept of contempt of court. The court in it’s judgment remarked that the power to punish for contempt is a “rare species” of judicial power which is by the very nature calls for exercise with great care and caution. The court said that the power to sentence for contempt ought to be exercised only where “silence is no longer an option.” Calling it a necessary power, the Court also prescribes it to be usedto secure public respect and confidence in judicial process.